Rhythm & Blues fans brought back his collectible 1978 classic LP "Telling the Truth," (released on CD by Numero Group in 2011), inspiring Willie to create this album of all new original compositions. “....a musician who, despite a lack of commercial success, resolutely followed his own muse as an artist and his own whims as a man. This assessment is perfectly reflected in Wright's music itself-- a radical blend of sounds delivered in a mostly laid back, untroubled style. ​"The first album in many many years from the enigmatic Willie Wright – an artist who's probably best known for Numero Records' recent revival of his older material, than he was for getting big exposure back in the day! This new set is handled with a surprisingly great style – one that really stays true to Wright's unique brand of folksy soul – a mode that's got echoes of Bill Withers and Terry Callier, but which is also served up in a voice that's distinctly Willie's own too! Instrumentation is nicely stripped down – just guitar, keyboards, and rhythm on most tracks – plus bits of flute or sax here and there – and the production is wonderfully faithful to Wright's vocals, which sound surprisingly strong after all these years." © 1996-2012, Dusty Groove America, Inc. 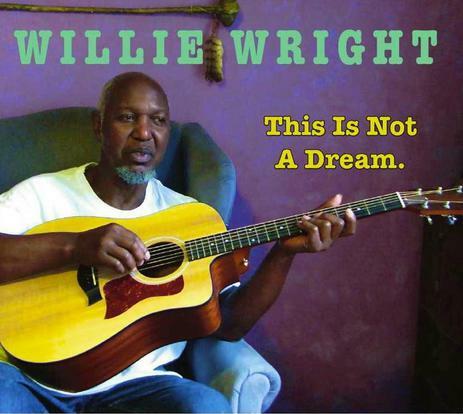 "...This Is Not A Dream, Willie Wright’s first release since 1978, is a bittersweet project. Fans of Wright’s 1978 Telling the Truth will be glad to hear from this plainspoken singer/songwriter and will certainly hear elements in the new project that will ring familiar. This Is Not A Dream, like Telling the Truth, features simple arrangements and Wright’s ability to tell a story. Wright has confronted many things during the 34-year interval between Telling the Truth and This Is Not A Dream -- especially challenges surround the artist’s health. Wright was diagnosed with Parkinson’s disease, and the illness has entered an advanced stage. Wright will be 73-years old on July 7, and he understands that This Is Not A Dream will likely be his final album. ...The impact that the disease has taken on Wright’s body can be heard in his vocals. Wright’s tenor voice is softer, and his voice slurs slightly in some spots. Wright himself is aware of these changes. “I can feel that I’m losing it slowly,” Wright says in a quote from an interview that is included in the album’s liner notes. ...The artist makes some adjustments in recognition of his condition. As a composer, Wright always favored a minimalist approach. ...The minimalist arrangements on This Is Not A Dream generally work, providing a folk, blues and 1970s era singer/songwriter vibe. Wright doesn’t need to compete with overproduced tunes. He has something to say, so it’s logical to create a project where little stands between stories and the listener. Wright...still knows how to write simple yet vivid lyrics. The best songs on This Is Not A Dream are the tracks where stories filled with passion, vulnerability and honesty unfold in three or four intense minutes. More often than not, Wright sticks to the formula, and that makes This Is Not A Dream a sentimental journey for Wright’s longtime fans and likely a worthy coda to a memorable half century of work by Willie Wright...."
We are exclusive worldwide licensing agent for his entire catalog, except for those songs included in the 2011 re-release on CD of his 1978 LP Telling the Truth (Numero Group). 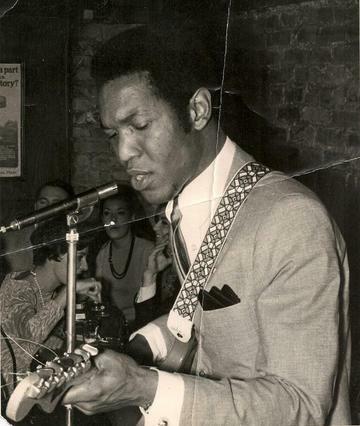 For collectors: we are currently licensing previously un-released material of Mr. Wright’s, recorded between 1965 and 1980, to Italy’s renowned soul label Cannonball Records, which has thus far issued limited editions on vinyl 45’s of “Ain’t No Sunshine,” a cover of the Bill Withers hit, and a Willie Wright original, a late 70’s smoking hot long dance track with classic vocals, titled, “Real Thing.” which will soon also be available on Itunes in it's original, unedited, full-length (6:32) version. During the next 24 months, we are planning to release several more previously unheard recordings with Cannonball, culminating in an eventual vinyl 33 rpm LP . collecting the Cannonball 45's as well as recordings being restored from recently discovered acetates madem during the 1960's and 1970's. Watch this site for news!! !